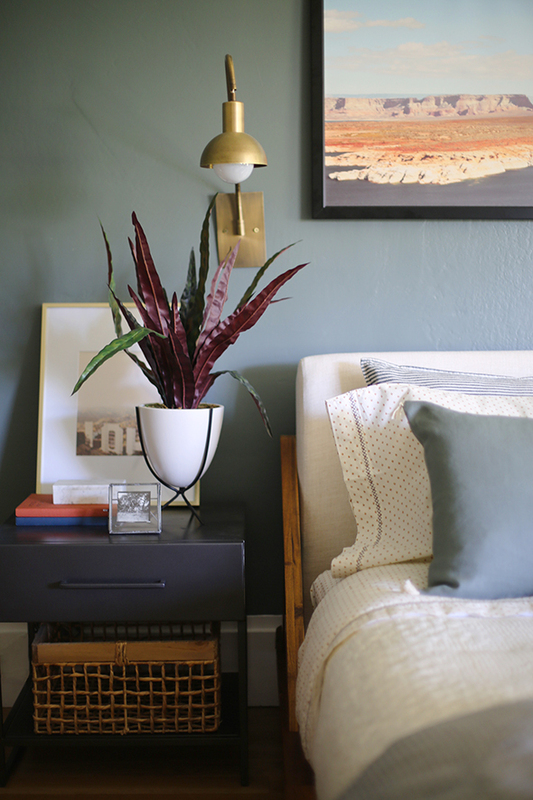 Every room can use a good dose of greenery! 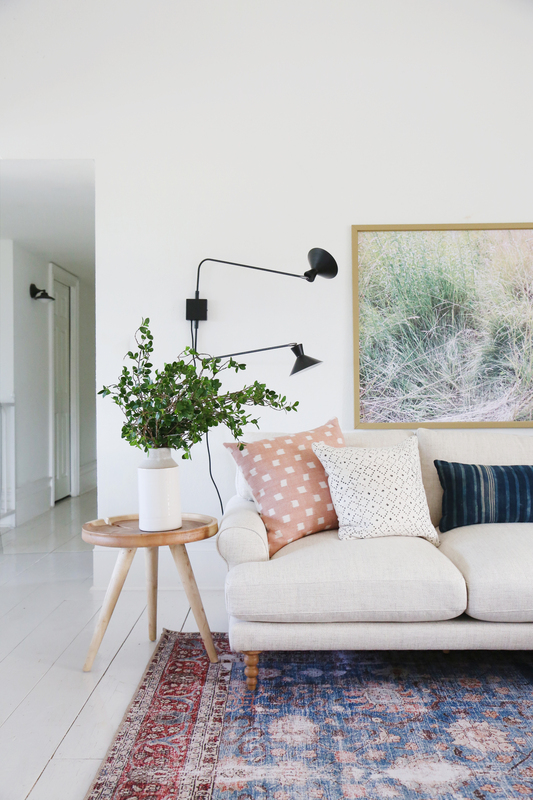 It will make just about any space feel instantly brighter and more alive. 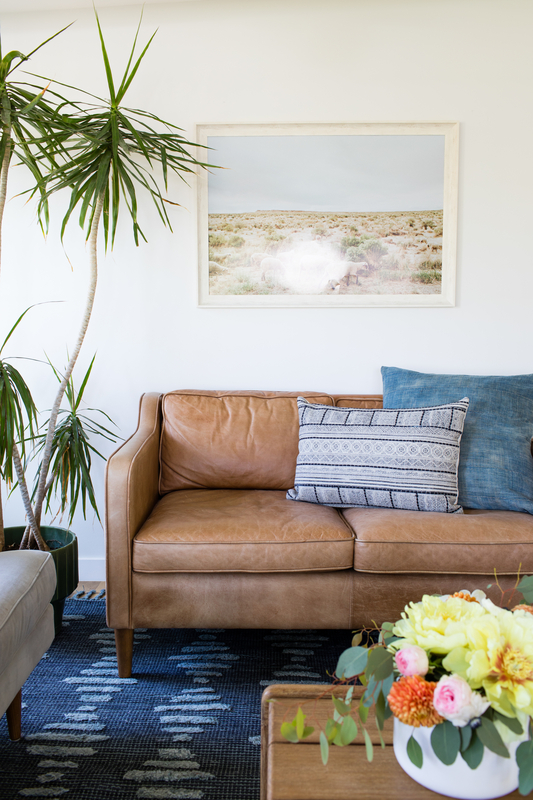 I think it’s safe to say that most of us would prefer only using real plants in our homes, but sometimes it isn’t always the best option. Dark corners and high shelves can be really problematic areas to keep real plants alive and thriving. 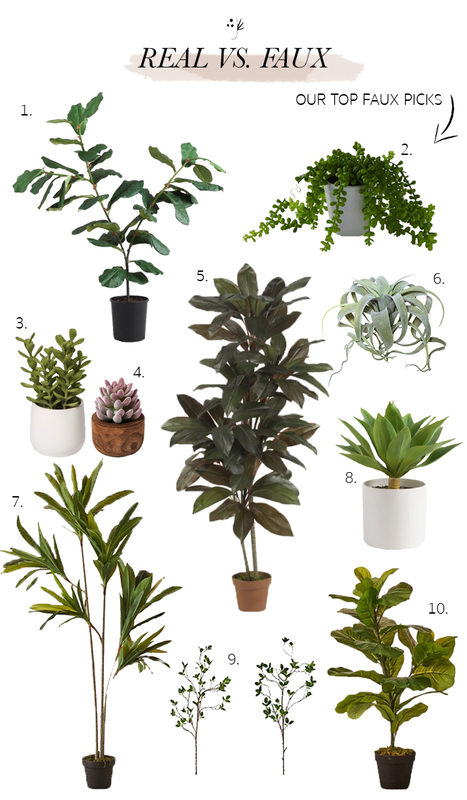 We put together a list of our favorite faux plants and trees for all of the black thumbs out there. We also included some of our go-to live plants!! Do you have any favorites we should know about?! 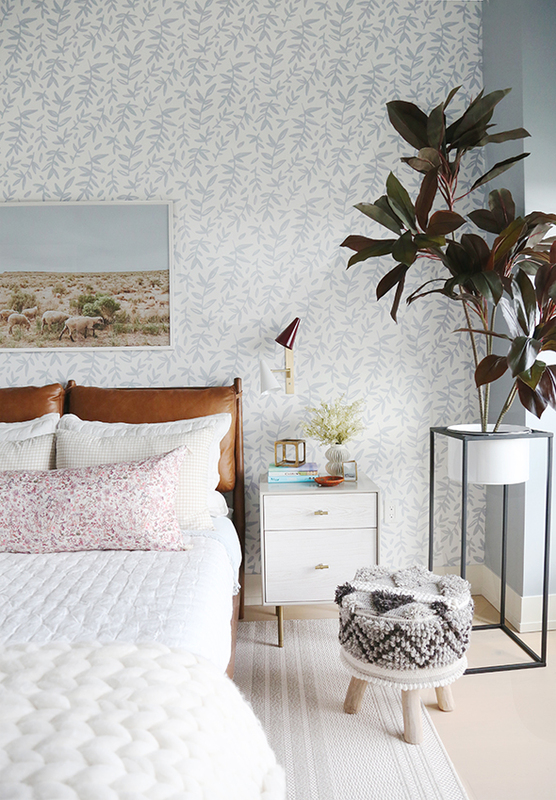 The below photos feature a mix of faux and real plants. Can you guess which is which?? Our top tip for making faux trees and larger faux plants look more natural is proper “planting”. It’s much harder to spot a fake if you can’t see the faux dirt! We recommend placing the entire pot it came in into a larger planter or basket and covering it with either white landscape rock (available at hardware stores for about $5 for a large bag!) or dirt and moss. You can see all of our favorite planters here! 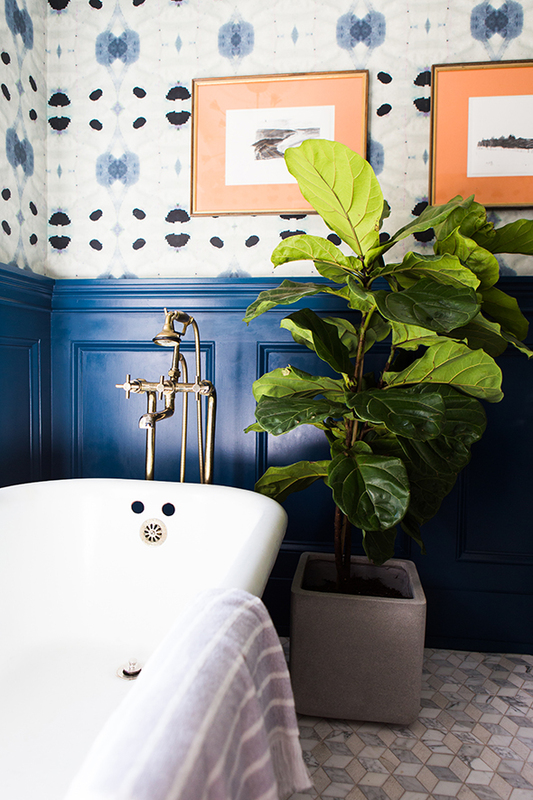 I have been wanting a faux fiddle leaf fig… have you used the one from QVC, and would you recommend it? Do you have a project photo of where you used it? Thanks!! I purchased two faux fiddle leaf plants from QVC. The leaves are very pretty, colors realistic. I think they are well done and have enjoyed them immensely! You do have to change them over to another larger pot as the one they come in is out of proportion. I added a little moss on top and they look great. I’ve looked on Amazon and other places and the price at QVC is by far the best. I love your roundup because from experience I can tell you that several are for those without a green thumb for sure. 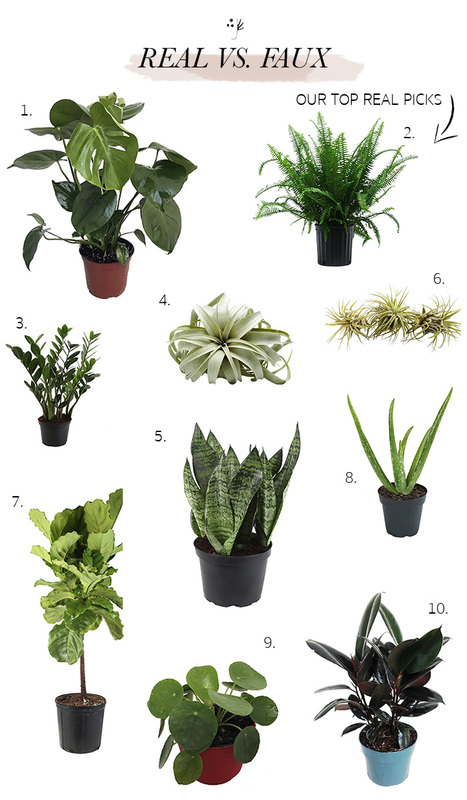 I currently have 2 types of ficus (ficus elastica and ficus altissima), a ZZ plant, and snake plant. Love them all! I chose these because I really wanted to be an indoor plant person, but I killed everything. I researched which plants thrived on neglect and all of these do!